Tao from EXO has officially left SM, for the best or the worse… only the future will tell us. For now, the ex-EXO member has dropped the following songs: “T.A.O.”, “Yesterday”, and “One Heart”. The songs are really good and have a kind of Kpop vibe to them… which sets him apart from the other Chinese singers. 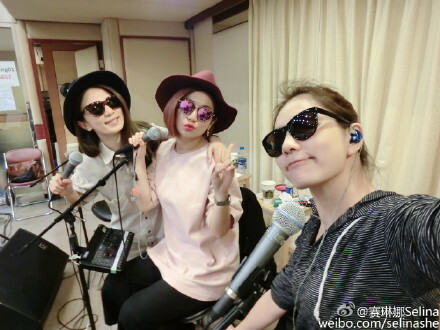 The fabulous Taiwanese trio S.H.E recently uploaded their weibo to inform us that they are doing well and preparing for their concert Forever Star in Sydney. The girls look like they are having a lot of fun! Gorgeous new pictures of mandopop singer just had a gorgeous photoshot for L’Officiel Hommes (China). He recently released his newest single 《天翻地覆》”Heaven and Earth Overturned”. You can find the MV at the bottom of the post. He always look handsome + he has a great personality. My definition of perfect boyfriend material!